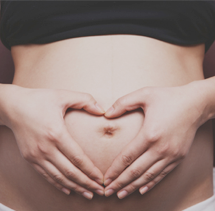 At Balance Point Acupuncture we are your Okanagan acupuncture specialist and our goal is to work closely with each patient to uncover the root of one's ailments or pain. The acupuncture and herbal treatments work to open up circulation and restart the body's natural healing processes. Through diet, lifestyle, acupuncture and herbs, we are able to create a total health plan to help you reach your goals. Acupuncture is a very versatile healing art and treats a wide range of conditions by stimulating circulation of Qi (energy) and blood and balancing the nervous and endocrine systems. 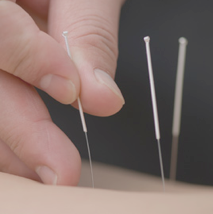 Whether you are recovering from an injury, managing a medical ailment, or trying to maintain a healthy system our acupuncturists can provide you with the individual treatment necessary to regain your health. Patients who come to our clinic find relief of their symptoms, and also reduce stress, improve energy, and receive a huge boost to their immune system. What is Traditional Chinese Medicine ? Traditional Chinese Medicine is an all encompassing health care system actively practiced and developed in China over at least the last 4000 years. The treatment modalities include therapies such as acupuncture, herbalism, Tui-Na massage, cupping, burning of moxibustion, herbal steams, among others. Treatments harness the body's natural healing abilities, restoring balance to the system while strengthening the body and increasing vitality. The body is composed of a vast and complex network of blood vessels, nerves, muscles, ligaments and tendons in a state of dynamic balance. Blood vessels open and close in order to move blood to areas of need. When you go for a jog, for example, arteries dilate in your legs, lungs, and heart as the demand for oxygen and blood increases. On cold days your body may constrict blood vessels in the skin and limbs and send it to your organs in order to preserve heat On warm days conversely, arteries expand and rise to the surface in order to vent heat. Muscles not only relax and contract to move our body’s through our daily routines, but must have the correct tension and in order to stabilize and center our joints to give us good posture. Nerves carry signals from the brain that enervate and coordinate the functions above. But what if the body’s ability to regulate and balance itself is lost? If the signals get scrambled do to stress, sports injuries, overwork, side effects from medications, toxins, etc. the balance is lost resulting in various health conditions. Blood vessels become locked in a constricted state, restricting blood flow and starving tissues and allowing waste to accumulate. Muscles become too tense pulling, torquing, jamming and twisting joints and vertebrae, and bones out of position, straining ligaments and tendons resulting in chronic inflammation and pain. Nerve impulses are blocked or scattered resulting in an unclear or weak signal which leading to tissue and organ malfunction. According to Chinese medicine, loss of the body’s ability to balance and regulate itself is at the core of all pain and disease. For 5000 years, Chinese medicine doctors have been mapping out the acupuncture meridian system which is essentially a map of how the body communicates with itself and the rest of the body. By stimulating certain points, acupuncture resets the signals from the brain to the malfunctioning area correcting “Qi or energy flow” and reestablishing balance of the affected area. The result is elimination of pain, balanced tissue function and relief of symptoms. Many people are used to painful injections and blood draws so feel apprehensive when they think of needles. Accupuncture needles however are much finer and often patients do not feel insertion of needles at all. At first there may be a slight pinch or a heavy sensation but once the acupuncture needles are at proper depth there is little sensation. Besides questions specifically about the condition that brought you into the clinic, the practitioner may take a much broader health history. Digestion, sleep, and stress levels are all vital components of good health. Chinese pulse diagnosis is an ancient art that is used extensively in diagnosis at Balance Point. It involves feeling the pulse of the artery at both wrists. Both Vivi and Travis sought out some of the most famous teachers of this ancient art and have had extensive training on diagnosing using the pulse. Some of the many conditions that can be ascertained from pulse diagnosis are digestive complaints including gastritis, h. pylori, constipation, musculoskeletal pain and tension, deficiencies of various organs, pathologies of heart valves, liver function, and many more. For more information on acupuncture click here!